Prominent & Leading Manufacturer from Ahmedabad, we offer pvc solid gray ball valves, pp solid ball valves, solid gray ball valves, plastic solid valve and pvc gray valves. We are recognized organization that produces an effective array of PVC Solid Gray Ball Valves for the customers actively engaged in agriculture, fish farming, salt plants and pharmaceutical industries. As the reliable manufacturer, we design our products using highly sophisticated technology and high-grade material to meet set industrial norms. 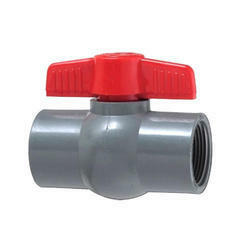 We are one of the leading manufacturers and suppliers of PP Solid Ball Valves. Our product range is used in the pipeline for drip/micro irrigation and water pumping system in agriculture. Moreover, these products are used in commercial and domestic water supply system. Clients can avail these products at market leading prices. this will be available in gray color. Capitalizing on our rich vendor-base, we are able to offer our clients a wide range of Solid Gray Ball Valves. Our vendors manufacture these products using supreme quality raw material and latest technology. We make sure that zero-defect range is dispatched from our premises; hence, check every grinder on varied parameters before final delivery. 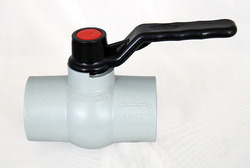 We are one of the significant manufacturers and suppliers of a wide range of excellent quality Plastic Solid Valve. This valve is manufactured at our state-of-the-art manufacturing unit using the finest quality raw material at par with the international quality standards. 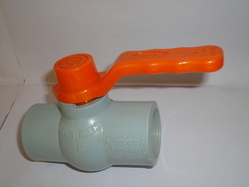 We are instrumental in providing our clients a comprehensive range of PVC Gray Valves. The offered gray valves have achieved tremendous accolades for their qualitative features. Used to admit large quantity of air in the pipelines at desired rate while draining the pipeline to prevent water hammer, clients can avail these gray valves from us at nominal prices.